Gas prices climbed higher across the curve during Thursday’s session, with a higher demand outlook for today helping towards gains on the prompt. A temporary drop in temperatures was expected today and over the weekend, while weaker wind levels will also result in a rise in CCGT generation. Gas prices fell to their lowest point in 2017 so far yesterday morning on the back of the mild weather forecast. However, prices recovered in the afternoon as a long system resulted in an increase in storage injections and a drop in withdrawals. Meanwhile, the Euro strengthened against the Pound, providing further bullish sentiment. A mild weather outlook for this week helped to restrict bullish movement at the front of the gas curve yesterday, with improved wind levels also helping to reduce gas-fired generation. Meanwhile, an increase in Norwegian flows to Europe contributed to a long gas system, resulting in higher exports via the IUK pipeline to Belgium. Upward movement further along the curve was limited by a bullish oil market, although a stronger Pound restricted any gains. Gas prices displayed mixed movement yesterday, with prices at the front of the curve moving down on the back of a mild weather forecast, while contracts on the far-curve displayed small increases; bullish pressure was provided by gains on the oil and coal markets. 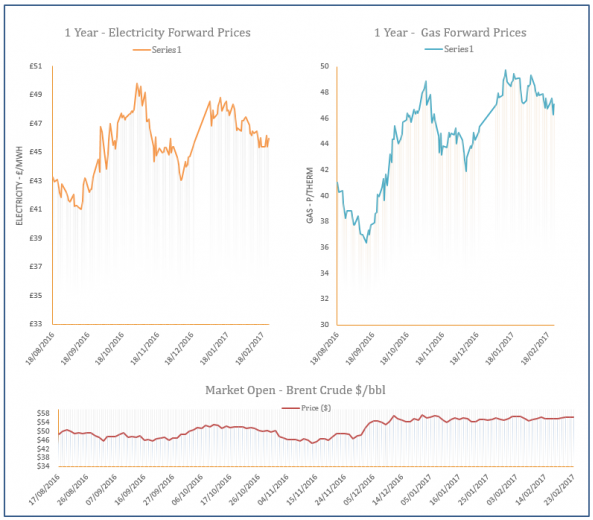 Gas prices moved down on Friday as mild weather was forecast today and wind levels were also expected to ramp up, reducing the need for CCGT generation. 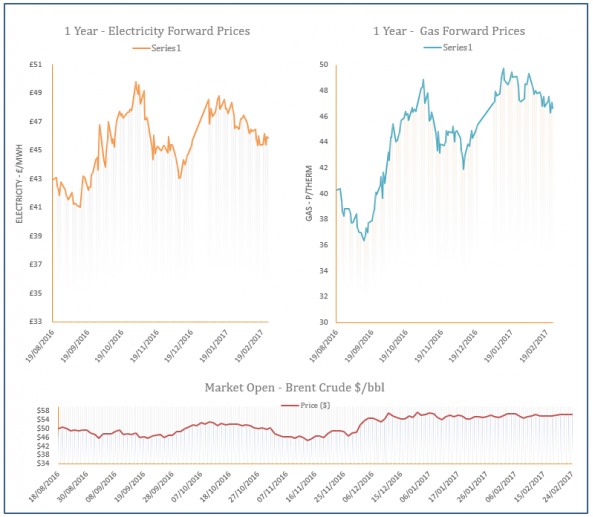 The UK gas system was oversupplied as UKCS production and Norwegian flows increased, although a weaker Pound limited some of the losses on the far-curve.